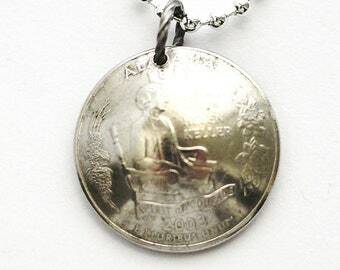 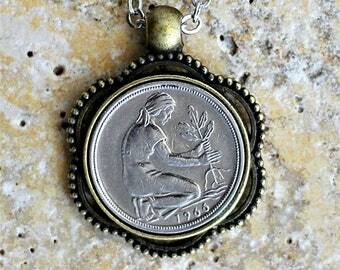 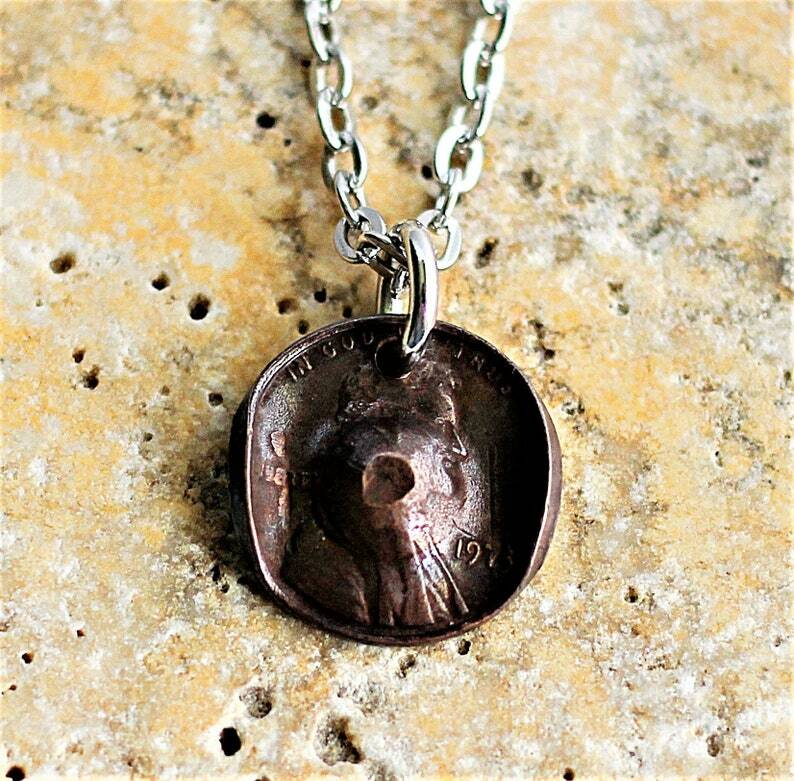 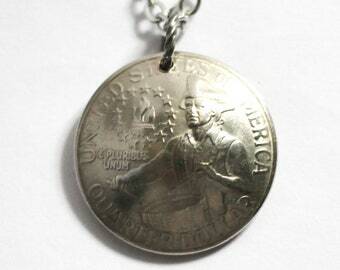 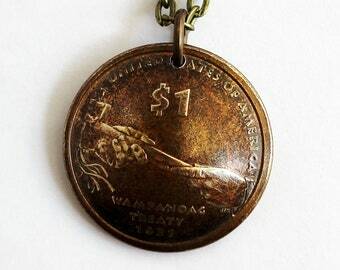 This cowgirl or cowboy hat coin necklace was made from an authentic U.S. penny coin. 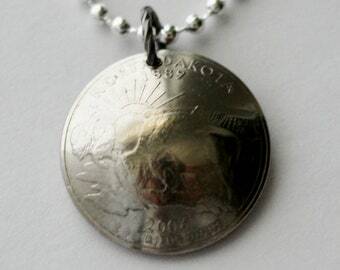 The President Abraham Lincoln can be seen on the outside of the hat and the Lincoln Memorial is on the inside. 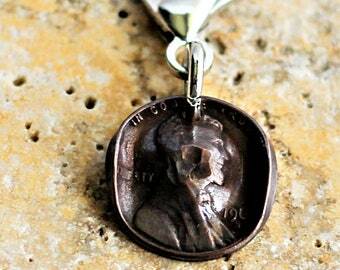 The penny pre-dates 1983 in order to take advantage of a copper coin. 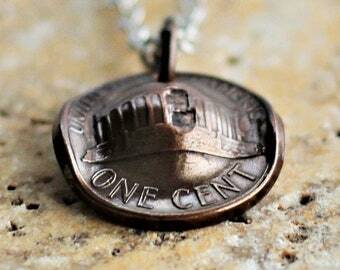 Using basic tools, I bent the penny coin into the shape of a tiny cowboy hat. 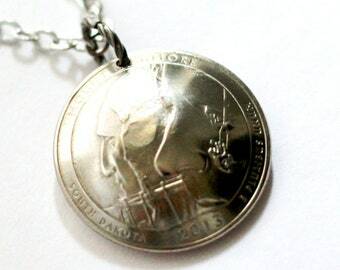 The charm was cleaned, polished, and drilled. The coin charm has a nice copper patina. 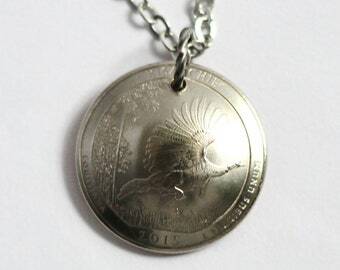 The charm has a diameter of 3/4 inch (19mm) and was suspended from a 24 inch (76.2cm) rhodium-plated cable chain secured by a lobster clasp. 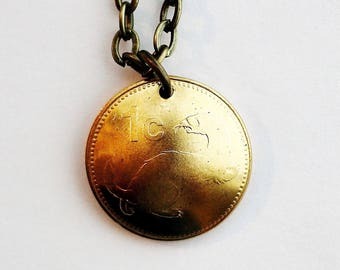 For more information go to www.Hendywood.com.